A nurse, who was born and raised in northwestern Ontario said she decided to try "something completely different" last year and take a leave of absence from her job at the Thunder Bay Regional Health Sciences Centre to travel to the "newest country in the world." Katelyn O'Conner, who works as an operating room nurse at the hospital, said she applied to work with Doctors without Borders to not only try something new, but challenge herself with new experiences and adventure. "I started looking up certain things I wanted to do and I have an interesting set of skills that can be versatile," O'Conner explained, "so I started looking into organizations that I can possibly do surgery or help do surgery all over the world." After an extensive application process, she said she was offered a position to help out at a United Nation base in South Sudan. 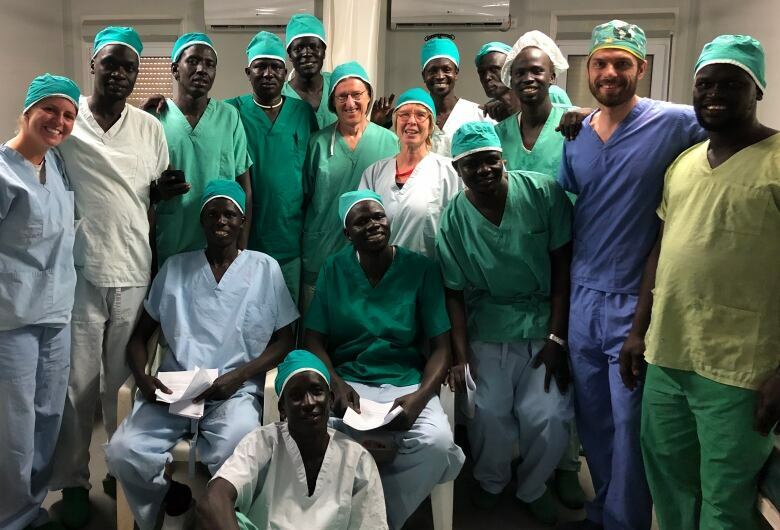 "You get all the background of South Sudan and what the country has been through and what the context is like," she said, adding that despite her previous travel experiences, she had "never been to something like this." She said South Sudan is still under turmoil after separating from Sudan in 2011. "South Sudan is the newest country in the world and ... as they were trying to rebuild their country, another civil war broke out in 2016. So they've had a civil war going on with a lot of displacement," she said. Placed at a protected UN base, O'Conner said there were about "120,000 internally displaced people" living in very poor conditions and tiny shelters as they are "too afraid to be home in their villages." "Even though we're in the protection of civilians, we see a lot of people who travel many hours to come see us. So you still see a lot of gunshot wounds," O'Conner explained, adding that she also treated many children with burns as well. With only one surgeon available for a short period of time, she said she was "very busy," running three different departments. "I was in charge of the operating theatres and then the post-op surgical ward as well as the sterilization department," she said, "and you just facilitate surgery." Although the work was hard and sometimes stressful, she said it was "all worth it" because you can see the difference your making. "It was a fantastic experience. I'm very grateful for it and it made me such a better person," O'Conner said.